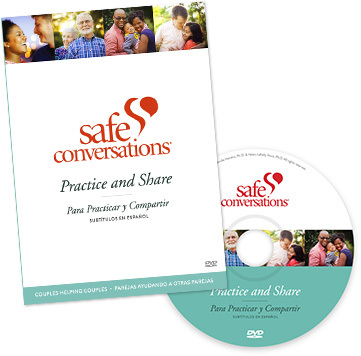 Safe Conversations: teaches a new way to talk and a new way to listen. This 90-minute DVD is an excellent way for couples to practice the three essential skills and to share them with others. Together, we can help create a culture of healthy relationships in which everyone thrives.